Japan is an undisputed leader in the production of robots and factory automation systems. Five of the Top 10 producers are Japanese and between them, they have almost 30% of the market worldwide.1 Japan’s current leadership in robotics was built on a long history of technological leadership in manufacturing, and today Japanese automation companies are benefiting from strong growth in demand for their products. For example, Fanuc, headquartered in Japan, is the number one producer of industrial robots in the world. Between the almost four million computer numerical control systems and half million industrial robots, it has installed around the world, the company has captured about a quarter of the global market. Worldwide sales of industrial robots have grown six-fold in less than a decade, rising from 60,000 in 2009 to 387,000 in 2017.1 Asia is by far the largest end-market for factory automation products. In 2017, Asia accounted for 70% of the purchases of industrial robots, led by China, which accounted for 37%.3 The forecast is for continued growth. According to Tractica, an AI and robotics consulting firm, the global robotics market is expected to reach $237 billion by 2022, up almost four-fold from an estimated $60 billion in 2018. Japanese companies are additionally benefiting as leaders in the use of robots and sensor products to maintain and advance their competitive edge and drive growth. As a result, Japanese companies are seeing steep increases in their competitiveness. 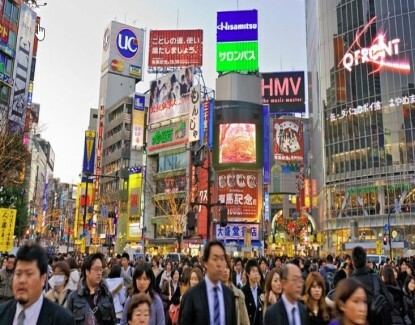 A 2016 study by Deloitte ranked Japan the fourth-most competitive country for manufacturing, a huge leap from the number 10 position it held just three years earlier. Corporations are using factory automation systems to lower costs and increase productivity. Over the next decade, BCG estimates that increased automation in the workplace could cut labor costs by an average of 16% across the world’s 25 largest goods-exporting nations – 22% in the U.S. alone. But it is not all about costs – factory automation systems are also being implemented to maintain quality, raise capacity and improve safety. And in some cases, investment in factory automation is helping U.S. companies keep their manufacturing operations at home. One producer of robotic welding systems recently helped a U.S. customer reduce unit costs at the company’s U.S. location to the Chinese manufacturing equivalent, while also enhancing quality, improving process control and reducing lead times. We believe the growth in factory automation and robotics is likely to continue, powering the growth in earnings of the Japanese companies supplying these markets, and improving the competitive position of the entire corporate sector in Japan. We believe investors can participate in the growing global trend in factory automation through the Hennessy Japan and Japan Small Cap Funds. The Hennessy Japan Fund holds high-quality, globally oriented companies and includes companies that either participate directly in the factory automation industry or benefit from its numerous applications. With its domestic focus, the Hennessy Japan Small Cap Fund includes companies that directly utilize factory automation products or serve this growing industry.